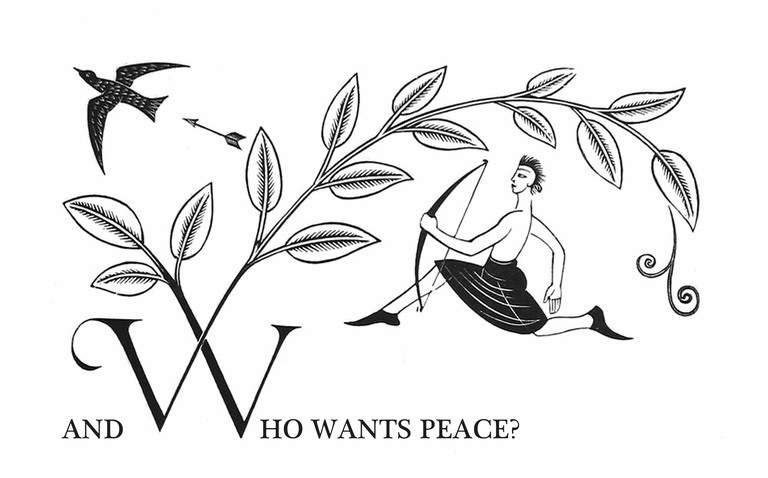 On Noverbmber 11 1936, in London - England, the artist Eric Gill delivered his speech titled And Who Wants Peace? ═It was addressed to a group of Christian Pacifists. In his speech, Gill pointed out the entanglement of industrial war, artistic creation and money making. The speech and after talk will be held at Zwarte Zaal (Campus Bijloke, Louis Pasteurlaan 2, Gent) at 20hrs.